This week, for ease of keeping my five posts in the series about capturing your best ever running pictures together in one tidy little place, I created this summary post. 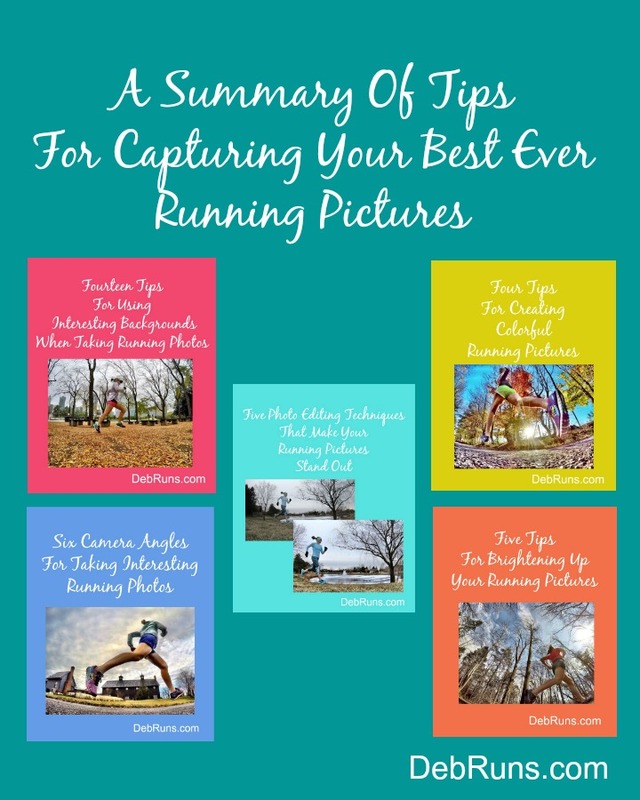 Hopefully, the tips in this series have been helpful and you’re well on your way to capturing great running pictures. You’ve learned to look at the entire image you’re about to capture, not just the subject; and to look at the subject from interesting angles. You’re now on the lookout for natural ways to brighten your pictures and use color to make your pictures stand out. And finally, if the image needs a little tweaking, you learned to crop, straighten, enhance, and position your picture like a pro. What’s your best piece of advice for taking running pictures? What was the most valuable piece of advice you took away from this series? Do you use the camera on your phone or a designated camera for taking most of your pictures? You have given me some great tips thanks again!